The lone howl, the most recognized coyote vocalization, is thought to be a proclamation by an individual coyote separated from its pack. Contact & Greeting – ‘Wow-oo-wow’ appears to be a “greeting song” when two or more pack members reunite. Group yips are thought to be a response to the lone howl. Originating near Yellowstone three million years ago, this medium-sized canine is extremely adaptable and intelligent. 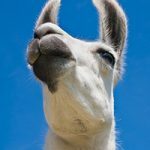 They’ve settled into every wild, rural and urban corner of the North American continent. Unlike other species that were extinguished by eradication efforts, Coyotes create replacement populations when their numbers are reduced. Coyote experts suggest that it’s easier to train coyotes and people to coexist rather than launching hunting campaigns. Killing coyotes opens more territory for roaming individuals to claim. Breeding season is February through March. Coyotes are monogamous and mate for life. In spring, newly mated couples claim territories and set-up dens. 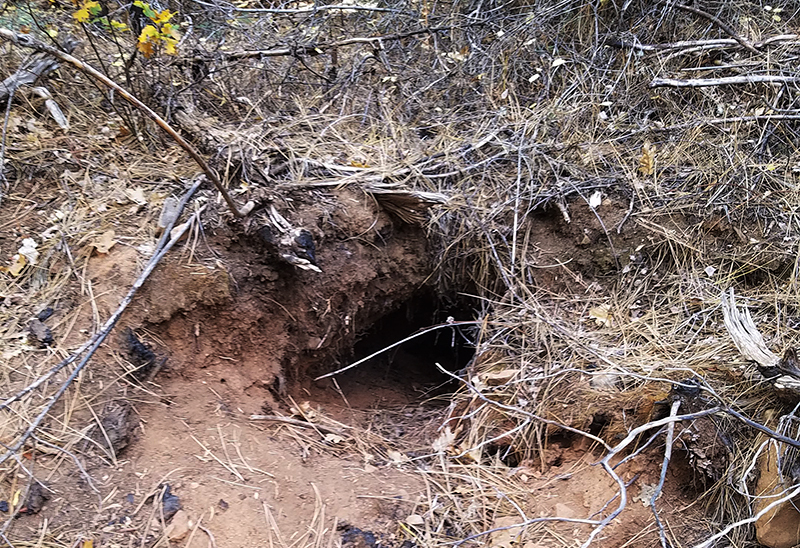 Den establishment may be cleaning out a previously used space or taking over an abandoned skunk, badger, or marmot holes. A pregnancy lasts about two months. 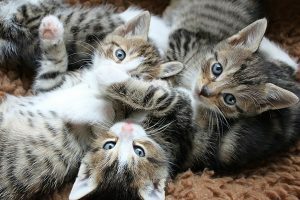 Litters range be between 3 – 12 pups. Litter size is determined by the number of other coyotes in the territory and the availability of food. Once the cubs are born, the male and other pack members help feed, raise and protect them. Pups remain with the parents somewhere between six months to one year. A family unit contains a reproductive female and her mate. Nonreproductive females, bachelor males, and other young adults may join the pack in the winter for companionship, but this is usually temporary. Occasionally, coyotes will form interspecies relationships. Coyotes have been observed working in tandem with American badgers while rodent hunting. A badger has been seen allowing head snuggles and face licking from a coyote. Aggressive coyote behavior most closely matches fox behavior. While not common, coyotes have been known to breed with dogs when there is no other alternative. Humans pose the biggest threat to coyotes. 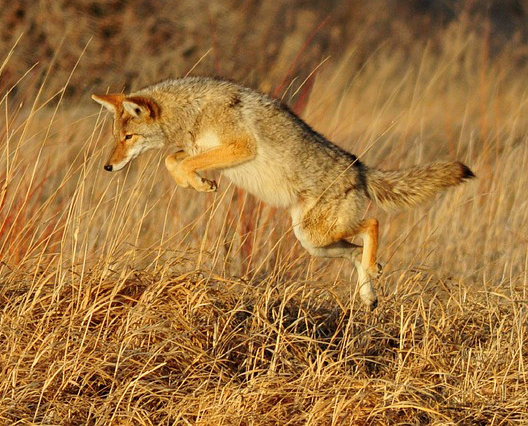 In rural farming areas, most coyote deaths are caused by hunting and trapping. In urban environments, the majority of coyote deaths are caused by automobiles. 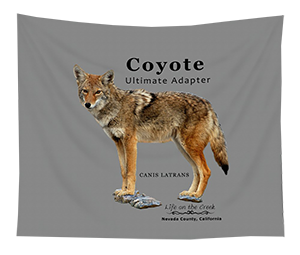 90% of a coyote’s diet consists of meat, but a coyote will eat almost anything, often experimenting with previously unknown items. In wild areas, coyotes may compete with bobcats and mountain lions for mule deer. Coyotes in cities should be wary of humans. Hazing will help maintain healthy boundaries for all. 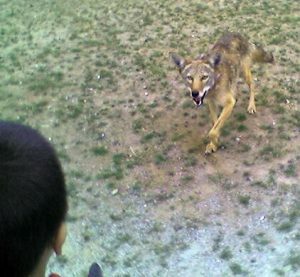 A coyote becomes a public safety hazard when it no longer fears humans and behaves with aggression. In 2017, the USDA Animal and Plant Inspection Service killed 3,199 coyotes in California. If a coyote has developed bad behavior, a predator removal professional must be called (it is illegal to shoot firearms in populated areas). 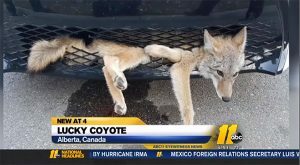 Coyote relocation is not an option, the animal is killed. Nevada County’s Federal Trapper can be reached at 530-470-2690 during office hours. 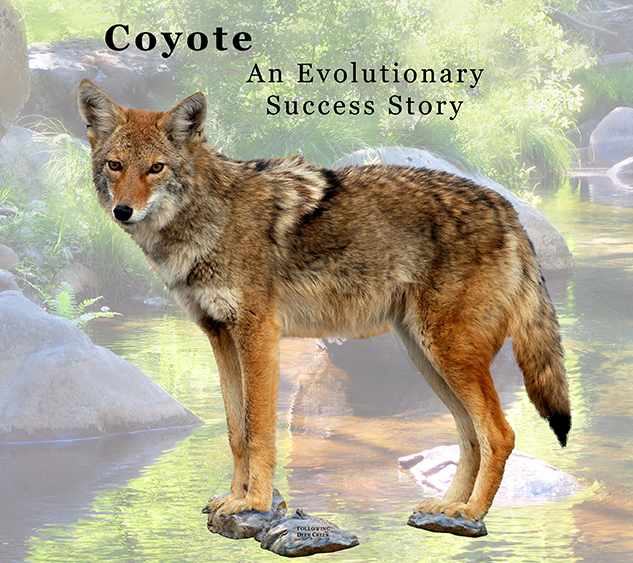 With their ability to predict outcomes, make changes, communicate, quickly identify new food sources and understand human behavior, it’s easy to see why the coyote is an evolutionary success story. In Nevada County, and along Deer Creek, it’s important to realize that coyotes are always watching. Just like discouraging bad bear behavior, residents must be vigilant about keeping food and water sources at a minimum. 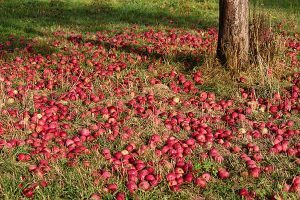 It’s also wise to mindful about creating situations where small pets and farm animals may become prey. If humans do their part by keeping coyotes wary, the two species can coexist peacefully. Haunting coyote song will serenade us at night and they’ll keep our rodents, insects and rattlesnakes in check. If you liked this post, you may also enjoy Bobcat – Susceptible to Rat Poison or Turkey Vulture – Carion Cleaner.